Michael Blumenfield, M.D. (Woodland Hills) - Book Appointment Online! Michael Blumenfield, M.D. is a Board Certified Psychiatrist who does clinical consultations,psychotherapy and psychopharmacology with adults. He is certified by the American Board of Psychiatry and Neurology in Psychiatry and also certified in Psychosomatic Medicine. He is Past President of the American Academy of Psychoanalysis and Dynamic Psychiatry (2012-2014). 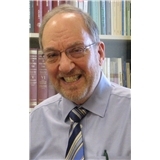 In addition, Dr. Blumenfield has experience in forensic & industry consultations including work with the entertainment and news media.He is an expert in psychotherapy with and without medication.He is not on any insurance panels. He sees many patients as an out of network provider & the patient may get reimbursed by their insurance company.